Each year the Architectural League’s Current Work series features the work of significant international figures who powerfully influence contemporary architectural practice and shape the future of the built environment. Thomas Heatherwick will present his studio’s work in a public lecture to be followed by a conversation with Paul Goldberger. With an emphasis on collaborative problem-solving and experimentation, Heatherwick Studio’s integrative approach to practice addresses the relationship between form, context, and making, frequently incorporating new materials and innovative technology in its designs. The firm works in a broad range of scales, from product design and temporary structures to infrastructure and large-scale architectural projects. 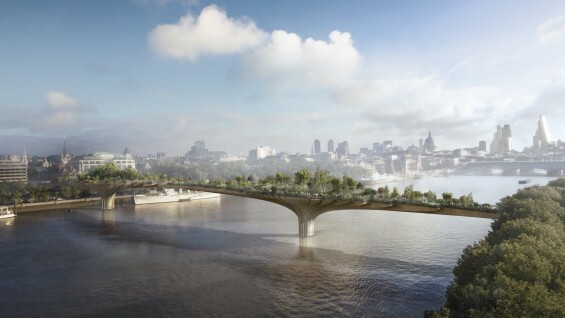 Thomas Heatherwick founded his London-based interdisciplinary studio in 1994. Recently completed projects include the Learning Hub, Nanyang Technological University, Singapore; Bombay Sapphire Distillery, Laverstoke, England; UK Pavilion, Shanghai; East Beach Café, Sussex, England; the New Bus for London, a redesign of London’s Routemaster double-decker bus; and the Spun chair. Current projects include Zeitz Museum of Contemporary Art Africa, Cape Town; Al Fayah Park, Abu Dhabi; Garden Bridge, London; Pier55, New York City; Google Headquarters (in collaboration with BIG), Mountain View, CA; and Maggie’s Centre, Yorkshire. A major retrospective of the firm’s work, Provocations: The Architecture and Design of Heatherwick Studio, curated by Brooke Hodge, is on view at Cooper Hewitt, Smithsonian Design Museum through January 3, 2016. Heatherwick has received the RIBA Lubetkin Prize for the UK Pavilion at the 2010 World Expo in Shanghai, popularly known as the "Seed Cathedral"; RIBA national and regional awards; and the London Design Medal. Heatherwick is a senior research fellow at the Victoria & Albert Museum, an honorary fellow of the RIBA, and has been awarded the Prince Philip Designers Prize, a CBE (Commander of the Most Excellent Order of the British Empire), and appointed a Royal Designer for Industry. Paul Goldberger is a Contributing Editor at Vanity Fair. He also holds the Joseph Urban Chair in Design and Architecture at The New School in New York City. Tickets are free for Cooper Union students and faculty with valid ID, and League members. Space is limited, please reserve in advance by e-mailing rsvp@archleague.org. Tickets will be held at the check-in desk; unclaimed tickets will be released fifteen minutes after the start of the program. Cooper Hewitt members may go here to reserve tickets for this event. All others may purchase tickets here, beginning October 1 until 4:00 p.m. on October 8. Tickets will also be available at the door, cash only, space permitting. Please email questions to rsvp@archleague.org.